For us, it all started earlier this year during our 2016 kick-off workshop, where we reviewed whether browsers today actually did what people need them to do. To our surprise, we quickly realized browsers were not paying proper attention to people’s needs. None of the major browsers provided the features expected in 2016. The list of Opera’s new features in 2016 is quite impressive: native ad blocker, battery saver mode, personal newsreader, built-in VPN, faster start-up, a built-in, on-page currency converter, and video pop out. This last feature has changed a way many of you experience YouTube. Opera has not only more features, but it also performs much better. It is now 80% faster with native ad-blocker, and works 50% longer with a battery saver. Startup time has decreased by 86%. We are happy to report that our giant leaps forward this year have not gone unnoticed. 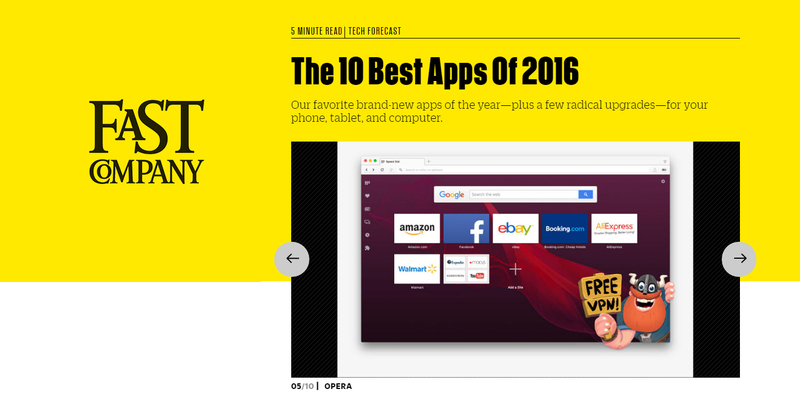 This week, Fast Company has published a list of top apps of 2016. Opera, with built-in VPN, is the only browser listed among other cool apps such as Albert or Google Trips. 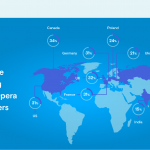 “The ever-underrated Opera (Windows, Mac, Linux)—again, not new but exceedingly rejuvenated in 2016—did the unthinkable this year and piped a free, unlimited VPN right into its web browser”. 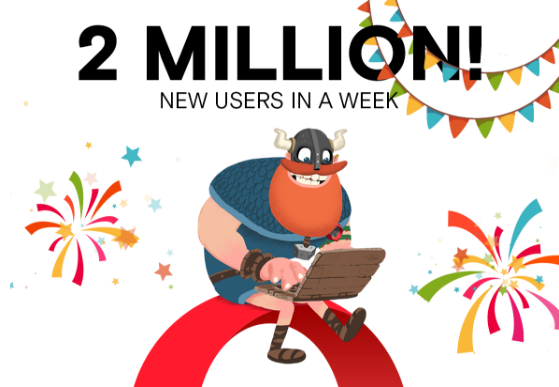 A happy holidays to all Opera users from the entire Opera Desktop Team! Thank you for inspiring us to improve with your feedback! Keep commenting on this blog and let us know what you want to see in Opera in 2017. We are preparing more cool improvements for next year, some of them you can already test in Opera 43 beta. Stay tuned for more.